By Amy Hoover. Published in Pilot Getaways Magazine, 2004. The previous article, Canyon Weather Part 1: The Effects of Wind and Sun, discussed how wind, sun, and terrain can dramatically affect weather in canyons. This article explores more phenomena unique to canyon flying, including how different winds interact with each other, and where and when to expect turbulence. It is important to understand these interactions because many mountain airstrips are in canyon bottoms or on ridges that separate canyons. 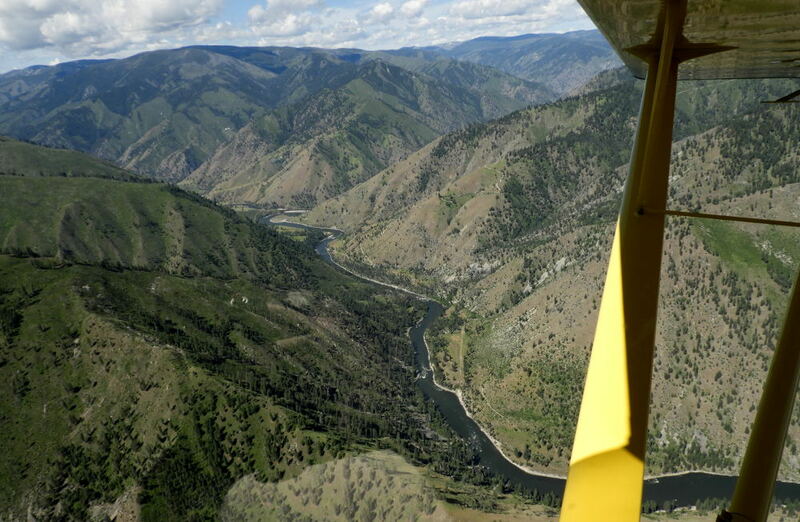 Even if you’re not flying to such airstrips, canyons typically constitute the lowest route through the mountains and provide more emergency options. Additionally, you may have no choice but to fly in canyons, since the elevation of the surrounding mountains may exceed your aircraft’s service ceiling. As discussed in the previous issue, uneven heating of the Earth’s surface is what drives weather processes. Several factors such as varying slope, color, latitude, and elevation contribute to uneven surface heating. Many canyons are hundreds of miles long and the elevation between their upper and lower ends may differ by thousands of feet. Changes that occur on a daily cycle in these deep, long canyons are the result of the interplay between heat from the sun, rising and falling air, and the shape and elevation of the terrain. These daily changes are called diurnal effects, and are greatest in the summer months when the sun is highest and the days are longest. When the morning sun strikes canyon walls, it starts a thermal heating process: air from the lower part of the canyon heats up and begins to rise. The rising air simply follows the canyon upstream. Thus, canyon breezes normally blow up-canyon (or upstream) beginning midmorning. These winds can become quite strong by midafternoon. During evening hours the air cools off more quickly at the upper (higher altitude) end of a canyon. This cooling air becomes dense and sinks downstream. 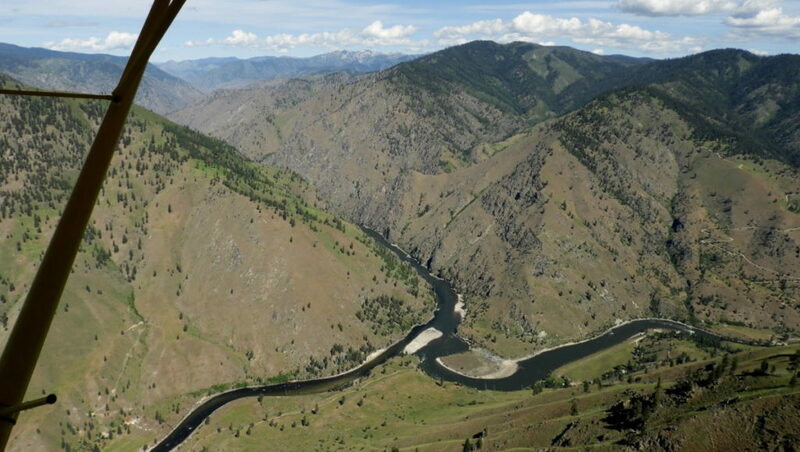 Thus, canyon winds normally flow down-canyon (downstream) during evening and nighttime hours. This cycle of winds blowing upstream in the mornings and downstream in the evenings is a dynamic process that repeats daily, but there can be many exceptions locally due the shape of the canyon itself, as well as the influence from winds entering the canyon from tributary canyons. A phenomenon that occurs where canyons join is called a convergence effect. Canyons may converge at various angles and in varying directions. Diurnal winds may be stronger and develop early in the day in large canyons, but may develop later, or not at all, in smaller tributary canyons. This means the wind might be blowing upstream in the main canyon but blowing downstream in one of the side canyons that feeds into the main canyon. Flying past this confluence, you should expect turbulence, which could be severe, depending on the relative strength of the opposing winds. When planning a flight into mountain and canyon areas, you should study your aeronautical chart and pay special attention to areas where canyons converge, so you can anticipate turbulence and plan your route and altitude accordingly. Because of converging rivers or streams, canyons are typically wider at confluences, and sandbars or benches tend to form there. Thus, airstrips are often located near river confluences. 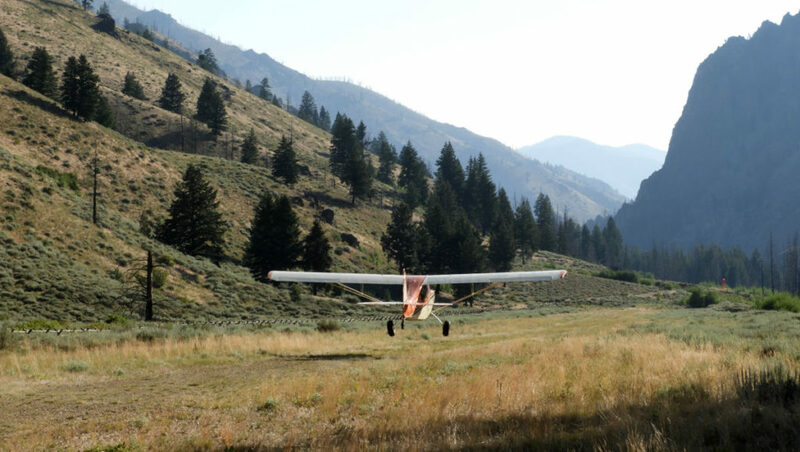 If you are operating at an airstrip near a confluence, be alert for varying winds, wind shear, and turbulence. Many canyon airstrips have more than one windsock to help you determine the effects of converging winds. It is not unusual for these windsocks to point in opposite directions, even though they are only a few thousand feet apart. If the converging canyons are not deep, winds can converge over the top of the ridge that separates them; if an airstrip is at the top of such a ridge, beware of wind shear and turbulence. The venturi effect is an increase in wind speed through a constriction or bottleneck, such as a narrow mountain pass or a narrow spot in a canyon. If a large open valley or intermountain basin narrows to form the entrance to a canyon, the wind will accelerate as it passes into the canyon, causing a decrease in pressure, which creates a downdraft. The downdraft can be insidious, as there may not be a lot of turbulence associated with it. Alternatively, when a wind is blowing up or down a canyon that opens out into a wide valley, the wind will diverge and typically flow outward away from the constricted area, which can cause wind shear in horizontal and vertical directions. When studying your charts during preflight planning, note any such constric- tions and anticipate a venturi effect. You might also expect a venturi effect in a narrow canyon that makes a sharp bend, caus- ing the wind to change direction rapidly. Turbulence can make any flight uncomfortable, and could damage your aircraft. Throughout this two-part discussion, we noted situations and locations in which a pilot can expect turbulence when flying in mountains and canyons. On this page is a summary of where you should expect turbulence, which should help you in your quest to avoid it. You should be constantly vigilant for phenomena such as convergence and venturi effects and learn to anticipate areas of turbulence. It is best to seek out updrafts, avoid downdrafts, and try to stay out of turbulence. Often lift is where you find it, so you should actively seek out updrafts and always be wary. Although we have looked at some general rules pertaining to wind, lift, and turbulence when flying in canyons, it is best to expect the unexpected. If the winds aloft are strong, you should reassess your flight plan; you may need to change your route of flight, your altitude, or postpone your flight. Knowledge of these phenomena can help make your mountain and canyon flying safe and enjoyable.